Bulakenya beauty Inna Patricia Gita is ready for the 2017 Miss Globe International pageant happening on October 21st at the Eftalia Okyanus Hotel in Antalya, Turkey. Toni Alyessa Hipolito from the Philippines is the reigning titleholder and will crown her successor at the end of the event. 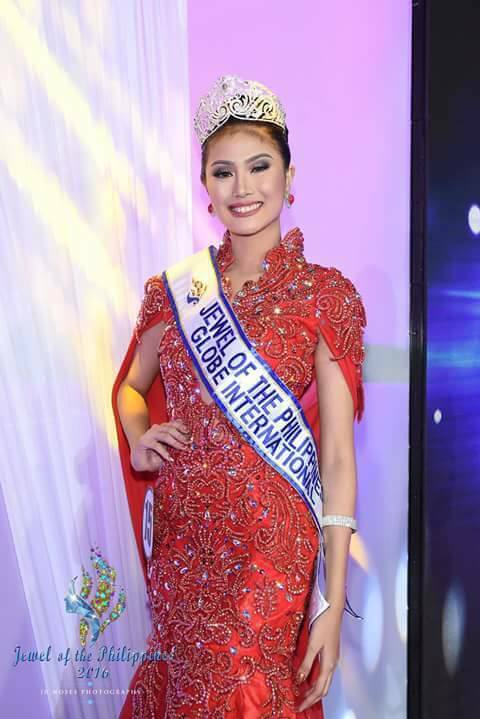 During the Jewel of the Philippines 2017 Preliminary Competition held on Monday, October 2, the 21-year-old Mass Communication graduate said that she has been undergoing intensive training and diet for the competition. Aside from the diet and workout, she said that Prayer is the most powerful weapon in bagging the beauty title. Filipino pageant fans are keeping their fingers crossed that Patricia will bag the crown this year and will give the Philippines a back-to-back title as Toni Alyessa Hipolito has been appointed as Miss Globe International 2016 by the Miss Globe International President Rasim Aydin. Maricar Balagtas, Miss Universe Philippines 2004 and who is also from Bulacan, was the first Filipina Miss Globe International winner in 2001. We wish you the best in this competition, Inna!